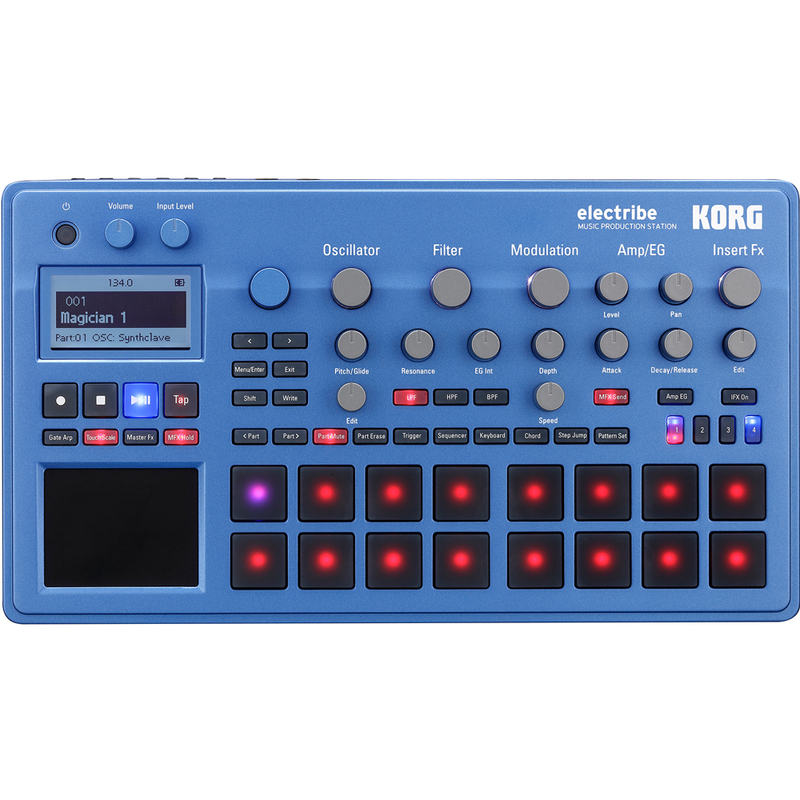 The latest edition to the Korg Electribe family has been redesigned to match the trends of today. It's been 10 years since the Electribe EMX first went on sale and the Electribe series has continued to lead the world's dance music scene. Now a long awaited new model has arrived, simple enough to operate for a beginner to understand and more enjoyable than ever for veteran users. The new model offers a quick workflow making it ideal whether you use it on the stage or in the studio. 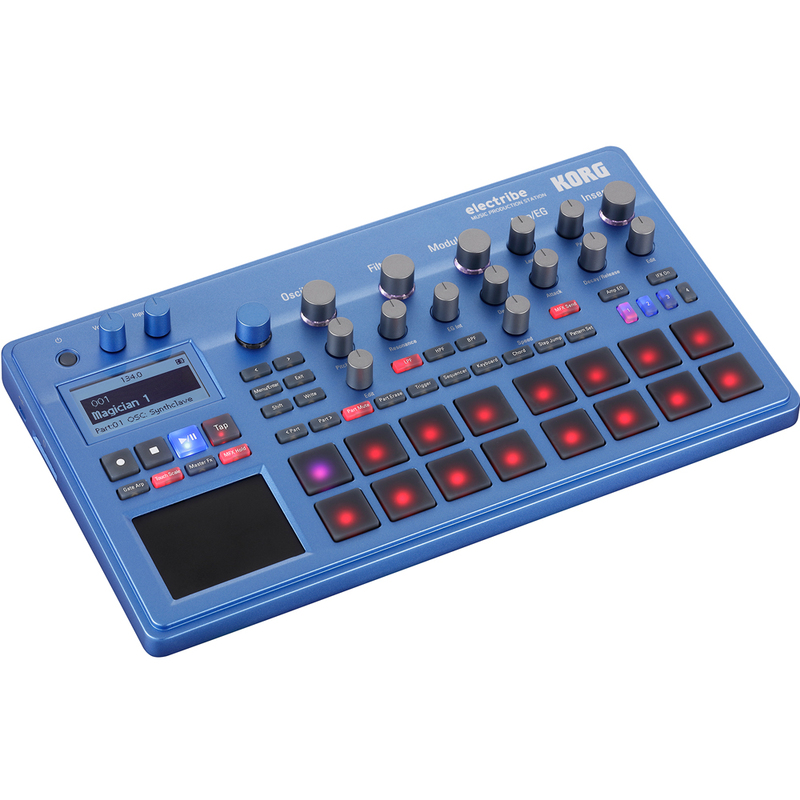 The Electribe has been redesigned using technology from popular Korg products such as the KingKORG, Kaossilator, Kaoss Pad and Taktile. It contains 200 presets spanning a wide range of dance music genres. One of the main advances of this new model is the support for polyphonic playback, this is indispensable for musical styles that rely on chord progressions. The 16 pads allow you to create patterns intuitively and offer visual feedback. The pads can also be used as a keyboard to step record or input phrases in realtime. Quick variations of your patterns can be achieved using the 'step jump' function which the Electribe has inherited from the Volca series and by changing the 'last step' to vary the length of each part. The trigger pads can also be used for drum input and velocity can be switched off if required. In addition to this there is also a 'motion sequence' function that lets you record realtime automation of knob and button operations within your patterns. Drums or synths can now be assigned to any of the 16 parts so users can experiment freely. Another exciting new feature is the compatibility with Ableton Live, it can internally save and export patterns in Ableton's format. The Electribe includes Ableton Live Lite. 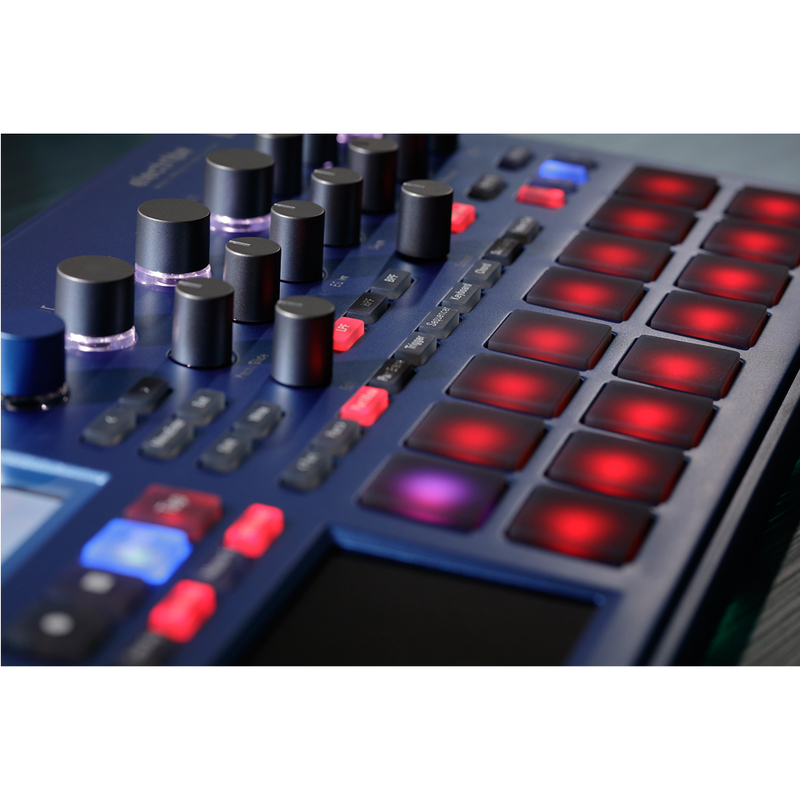 Intuitive beat making with the trigger pads and touch pad.